kiki creates: VOTE for me...I bet you miss me saying that! VOTE for me...I bet you miss me saying that! Do you remember this wreath? Well, it is in a contest over at Inspired By Charm, for the best door decor! 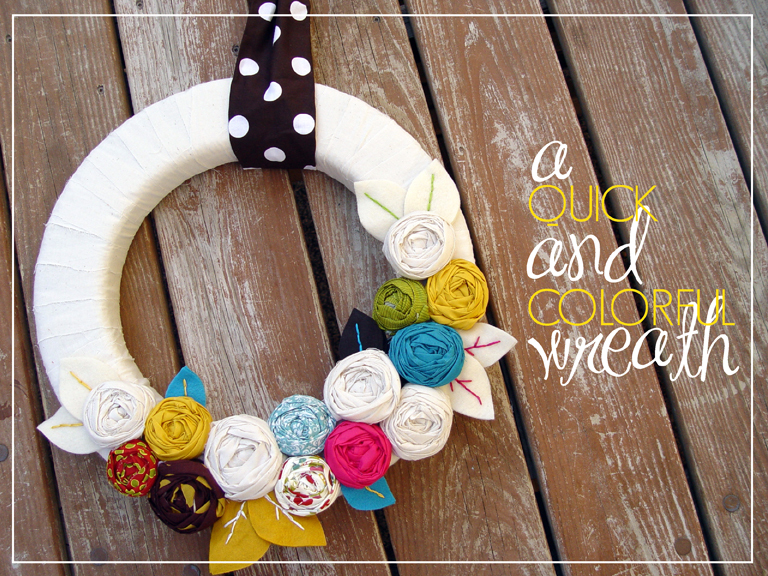 I am so honored to be in that top 6, and am once again asking for you to hop on over there and vote for my QUICK AND COLORFUL WREATH! It really just takes a second..and it's a short contest..finishes up on Wednesday! Thanks so much! I appreciate it! I voted for you! (And yours really IS my favorite of them all, too :-) It's adorable and now I want to copy you and make my own. I love it! I voted!!! its adorable!!! Now, tell me how to make it! :) PLEASE! don't tell the others... but yours is my favorite too! So does everyone who votes get one? Voted, and yours is by far the best! Goodluck!